Shroeder Shearing is a service started by Anne Shroeder (that’s me) in 2004. 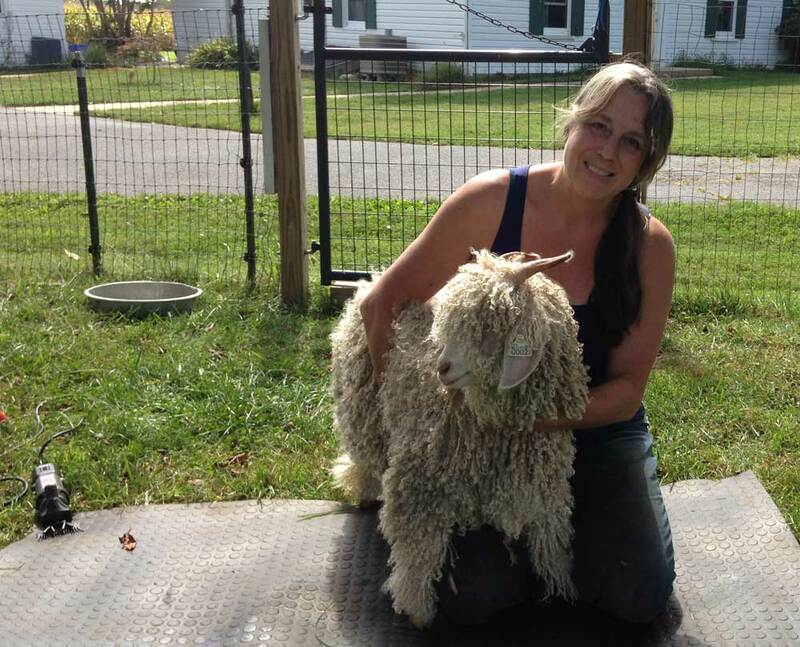 As a small flock owner, I discovered it was difficult to find shearers to shear my animals and so decided to dedicate myself to learning the craft. I currently shear for upwards of 250 farms each year – the flock sizes range from 1 to 100. I shear sheep, alpacas, goats, and llamas, and also do hoof trimming and (for camelids) tooth trimming. Treat your animals with care and respect. Remove fiber in an efficient and professional manner. I partner with experienced livestock assistants who are polite to humans and gentle with animals. A portion all proceeds of the shearing go to benefit Star Gazing Farm Animal Sanctuary.